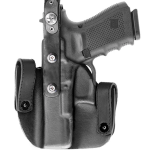 The Cobra Gunskin Tactical Style CGT holster is made of Kydex with full grain leather straps and brass and stainless steel hardware. 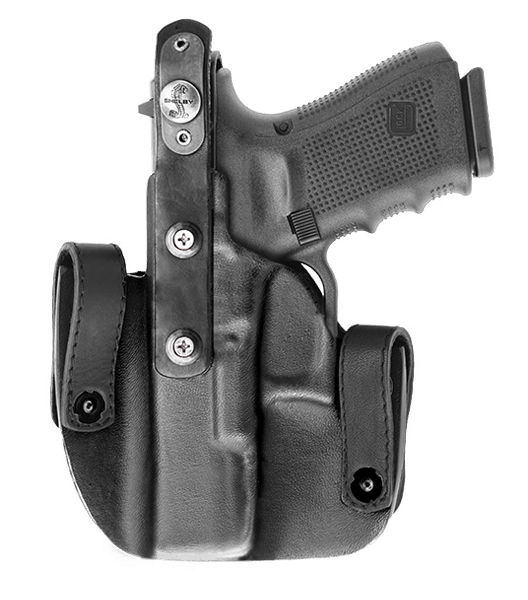 The leather straps allow more flexibility and comfortable movement. 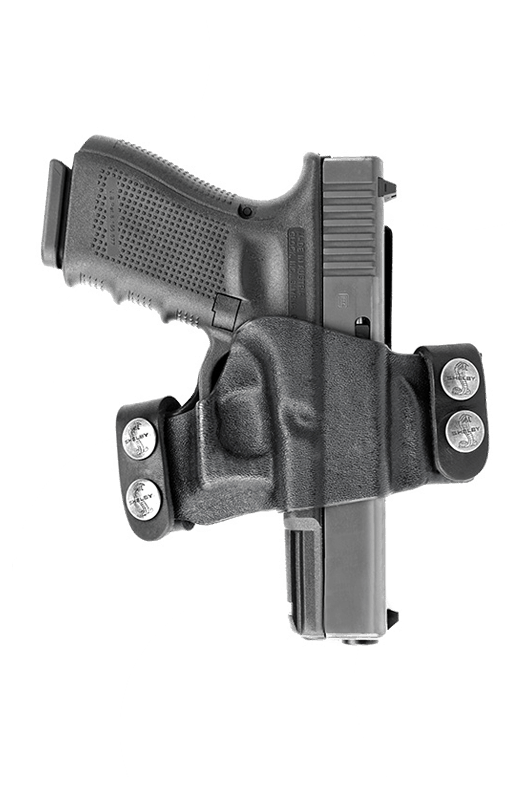 The CGT also has a flat back for extra comfort and is designed for the closest fit making it very concealable. 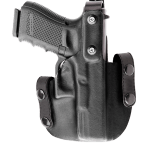 It is custom molded for the perfect fit and the Kydex front stays open for easy re-holstering. 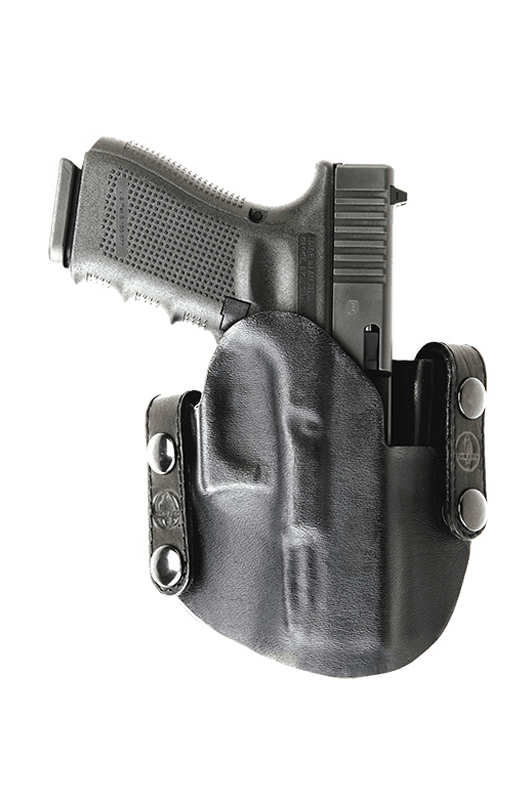 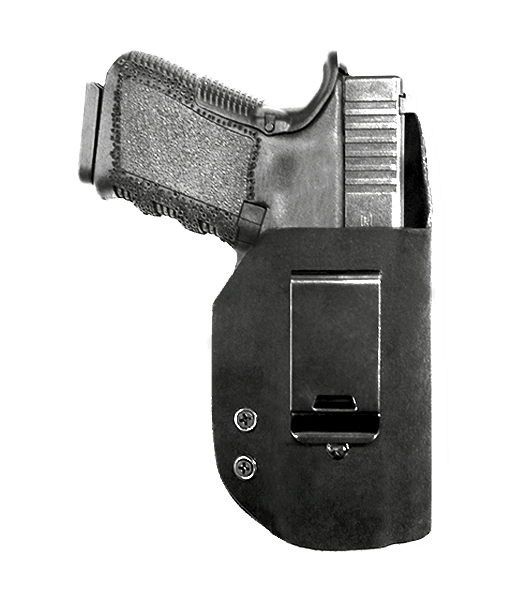 This holster features a steel reinforced thumb break for added safety. 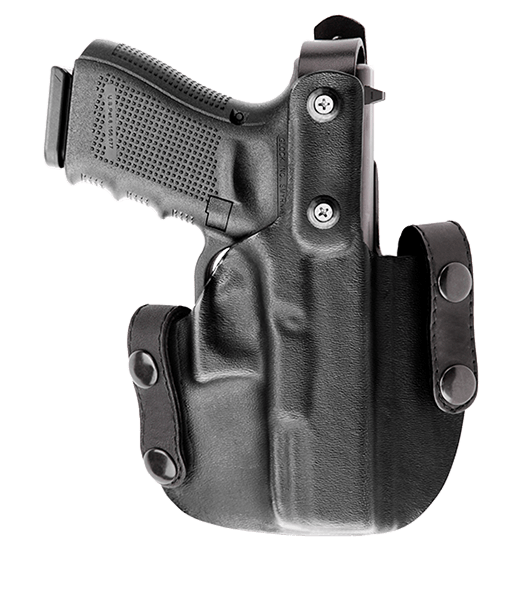 This holster is designed for a quick, smooth draw and to have the ultimate grip. 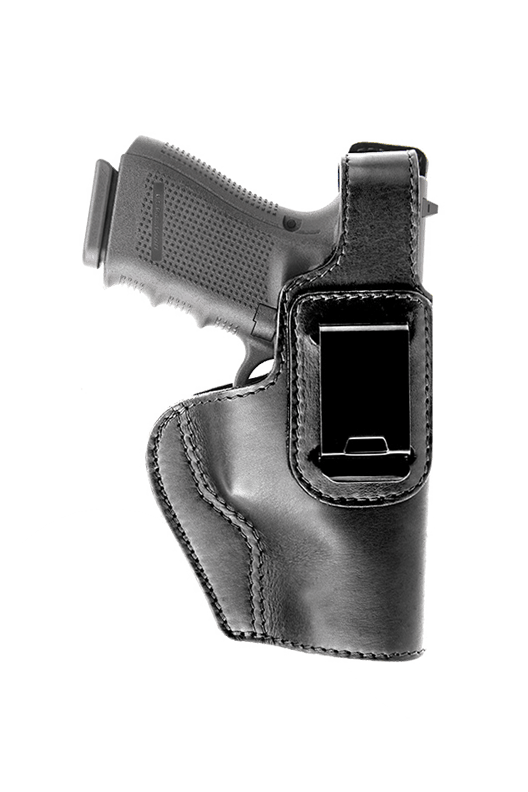 It easily snaps on and off of a belt loop and has burnished edges for a finished, polished look.